Ok, may be not for babies who might easily try to eat the materials than arranging them. Trust me, I know, speaking from experience. 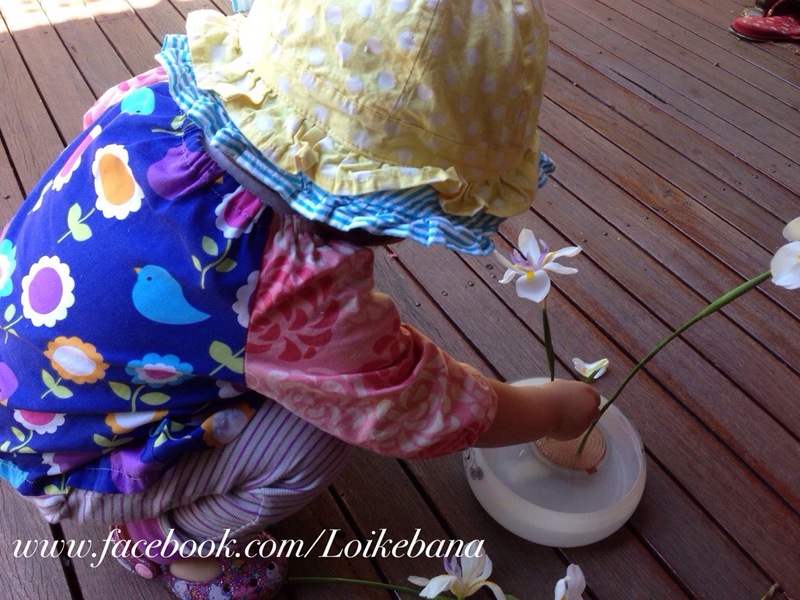 For the rest of us, who wants to take a piece of nature and transform it into art of our own here we have ikebana for all ages. The photo above are two arrangements little Miss Terrible Two has done this afternoon using some left overs from my ikebana class and branches from our garden. There were days we did not have florals and she was equally happy to just arrange leaves and branches. Overall, ikebana is NOT Japanese floral arrangement. In fact, many famous ikebana artists are NOT famous of their “floral” work. In the Sogetsu textbook, there is a chapter on arranging fruits and vegetables only! 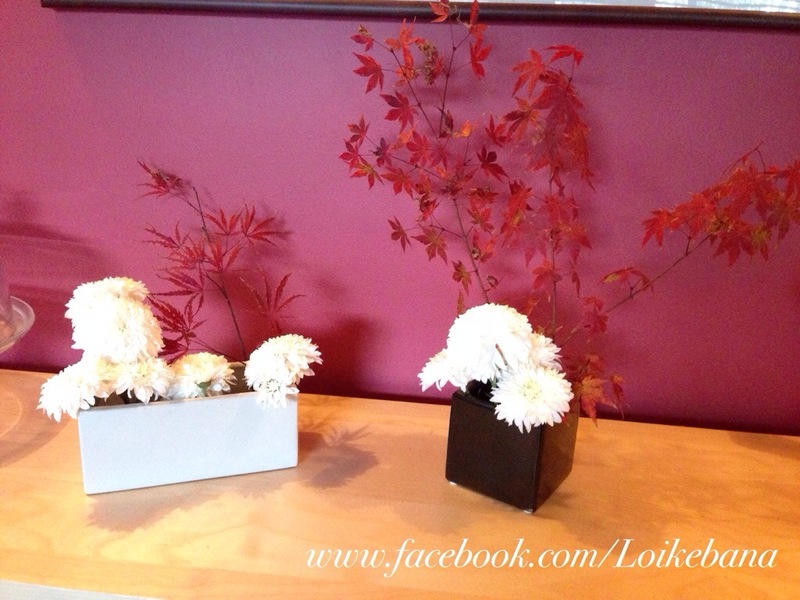 Many find ikebana relaxing, meditative, calming. It takes you away from the huss and buss of this busy world and asks you to focus on the amazing miracle of nature- especially the piece that is in your hand that you are about to cut! It helps you to “stop and pause” in this non-stop world. It can stimulate the mind in a different way than the internet or the TV can. What are you waiting for? Or do you know someone who can make use of some relaxing time? Regardless of age, let us gather some materials, whether is from your backyard or from the road side (I do have friends who live in a flat and she picks material from the road side!) and do some ikebana.